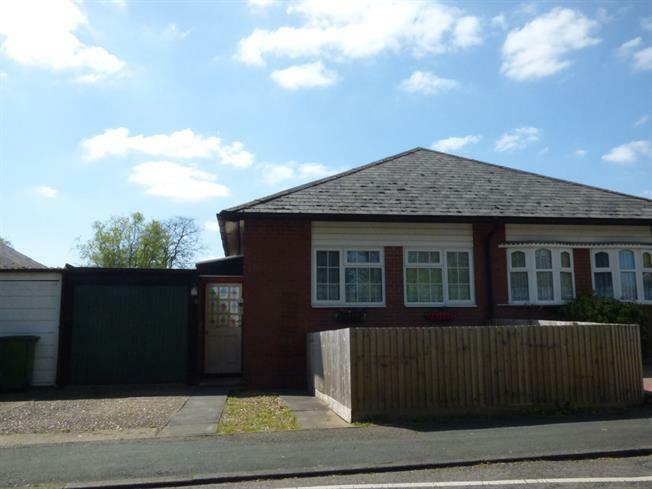 3 Bedroom Semi Detached Bungalow For Sale in Milton Keynes for Asking Price £260,000. Offering flexible accommodation throughout this three bedroom semi detached bungalow offers excellent access to Central Milton Keynes main line train station and shopping centre. The accommodation in brief comprises of entrance hall, cloakroom, lounge, kitchen, conservatory, three bedrooms, bathroom gardens and garage. Via door leading to entrance hall with built in cupboards and doors to the following rooms. Windows and doors to conservatory, TV/FM points, radiator, door to inner hallway and kitchen. Single sink and drainer with cupboard under,, further range of fully fitted base and eye level units, roll top work surface with tiled surround, space for fridge freezer, washing machine and free standing cooker, windows and double doors to rear garden. Windows to three aspects, doors opening out into rear garden. Re fitted suite comprising of panel bath and separate shower cubicle, WC with low level flush, pedestal wash hand basin, tiled to splash back surrounds and frosted window to side aspect. Enclosed lawn with dwarf fence surround and hard standing driveway alongside providing off road parking and leading to entrance hall and garage. Paved patio leads to lawn with panel fence surround.